Hello, and welcome to Mistake Monday! We’ve been looking at a lot of Common Errors over the last year or so, and I thought it would be a good idea to review a few of them. So, here is my “Top 5 Mistakes” list. This list is subjective, but these are the errors that I notice most in my classes. Some are related to grammar and some are related to vocabulary. All of the items contain links to an explanation on Sitzman ABC. This is about question formation, and the way to order the words correctly. “Third person” refers to sentences with he, she, or it as the subject. This talks about using “have” as both a helping verb and a main verb, and when to use the verb “to be” instead. This post describes how to use these three words correctly. If you ever say things like “say me,” “explain me,” or “describe me,” then this post is for you! This talks about common irregular plurals, like man–>men, child–>children, etc. What about you? 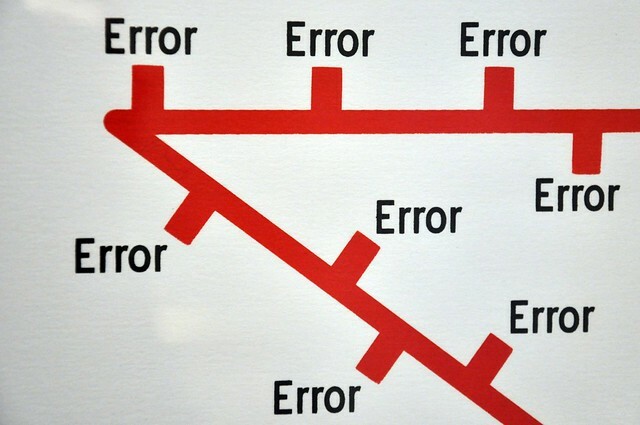 Which errors do you find yourself making most commonly? If you have any questions, comments, or suggestions, please join in the conversation by leaving a comment.